On Monday, the East Coast Railway (ECoR) informed that two trains will be affected due to safety- related modification work underway Bengaluru. 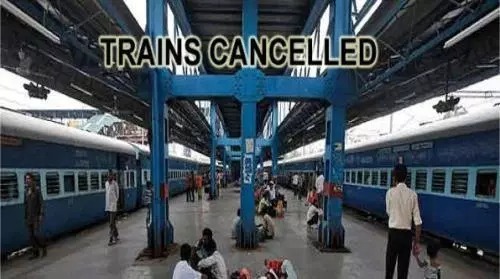 Prashanti Express – Cancelled from March 27 for nine days between Satyasai Prashanti Nilayam (SSPN) and Bengaluru stations. The work is in progress between Yelhanka and Dharmavaram stations in the Bengaluru division of South Western Railway jurisdiction.